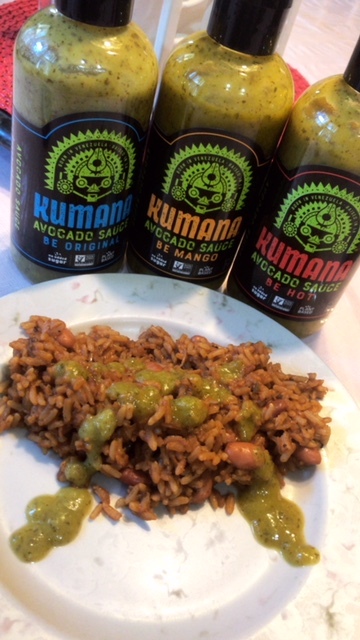 Kumana Foods has the solution, with their Avocado Sauce. It comes in Mango, Original, and Spicy varieties. They are all plant based, Non-GMO, and made without added sugar. The containers are BPA free, and they are gluten free as well. The sauces are also relatively low in calories (10 for every 1 Tbsp.) and relatively low in sodium as well (the Mango variety has 95 mg per serving). 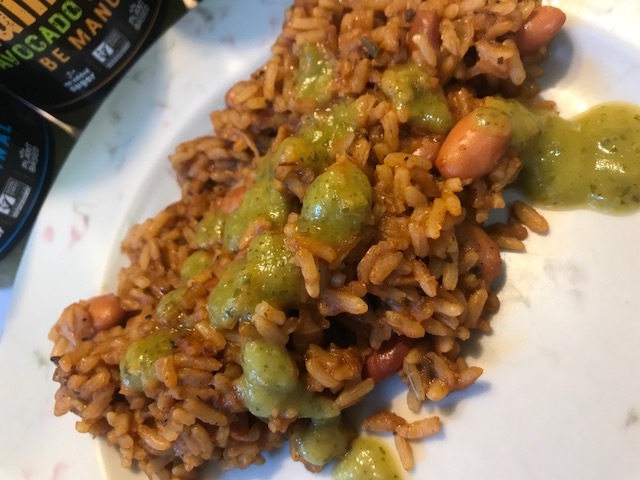 I cooked up rice and beans, and thought this would be the perfect addition. Overall, I found all 3 varieties tasted more or less the same. MANGO: this one is sweet with a little bit of spice. The mango flavor is mild and there is a relatively strong pepper flavor with a nice amount of heat. The ORIGINAL flavor has a bit more heat, a stronger green pepper flavor and more of a vinegar aftertaste. 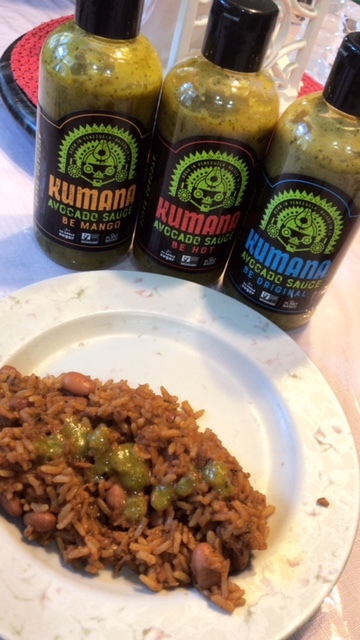 Good if you like things on the less sweet- more spicy side. The HOT flavor had a kick, but it was not…spicy. Let’s put it this way, I accidentally had hot sauce the other day on my enchilada and felt like I was having heart palpitations meanwhile everyone else was eating it no problem. AKA…I am a wimp with spicy foods. & the spicy version of the avocado sauce was well… not that spicy. Overall, I like them. All have a mild avocado flavor, which I wish was more prominent, and remind me of salsa verde. I love adding them on top of chicken and rice dishes for an extra kick. I recommend trying them, but don’t expect them to be spicy. DISCLAIMER: THIS IS AN UNBIASED REVIEW. I RECEIVED THIS TO TRY FOR FREE FROM THE COMPANY.